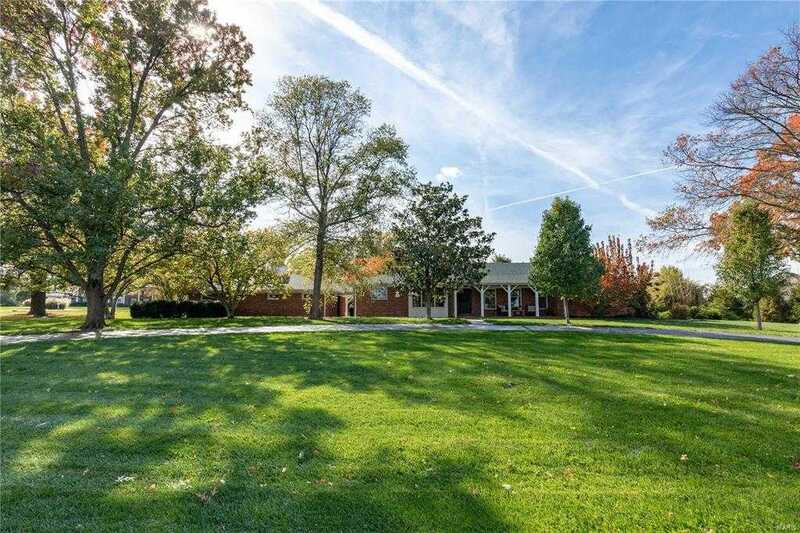 Renovate, Remodel, Rebuild, Relax in this spectacular Spacious Executive Ranch Home on a truly magnificent Lot on the most phenomenal street in all of Forest Hills. Literally steps away from the Country Club and all it has to offer. This street is going through a major Renaissance with multiple new homes that have been built. Several over $2M… This home and setting is an unbelievable value given the close proximity to Forest Hills Country Club and exceptional wide curb appeal of this park-like lot. The home is open bright, light clean and well cared for. The floor plan is versatile and can be made to accommodate your living needs. This is as close to resort-like living as you will get in St. Louis. Ride your golf cart to the Family Club of choice for all your family Fun… Forest Hills is a premier Private Country Club and has memberships available for additional cost. Premier Lot, Premier Location. Award winning Rockwood Schools. This is truly a one-of-a-kind opportunity.